As my fellow blogger Aishwarya mentioned last week, summer is the perfect time to take up a new hobby or learn something new. The extra time that is usually spent cramming for exams and revising papers is now free for things such as reading new books, learning an instrument, or in my case—learning how to surf! I’ve always thought learning how to surf would be enjoyable, but it’s never been at the top of my bucket list. The combination of a childhood spent in rural, land-locked Pennsylvania and a complete lack of confidence when it comes to swimming resulted in the idea of learning how to surf seeming like an unrealistic dream. However, I made that dream a reality at the end of my time in Spain. I stayed in Europe for about three weeks after I finished my finals, and for ten of those days, I was on the Atlantic coast of Portugal at Surfivor Surf Camp in a little town called Esmoriz. I cannot say enough good things about Surfivor and the people that run it. Everyone who spent time around the camp, from the instructors to the woman who worked reception, were welcoming and kind. There were only six campers that week, which was extremely beneficial for me and the three others who had never surfed before. With three separate instructors coming to the beach with us everyday, we had significantly more one-on-one time than I expected going into it. By the end of the first day, all four of the beginner surfers were standing up, and some of us, including myself, were even beginning to work on turning with the direction of the wave. The experience was physically and mentally challenging. Surfing, especially paddling out, caused me to use all sorts of muscles I’ve never used before. We surfed for five to six hours a day for six days straight. It had been years since I had done that much physical activity and I was exhausted because of it. The mental challenges I faced while learning how to surf were even more difficult to overcome. On the third morning of camp, I can truly say I wanted to quit more than I’ve ever wanted to quit anything in my life. We went to a different beach that day, where the waves were larger and more powerful. No matter how hard I tried, I could not get to the outside—the area past where the waves break. Some days, depending on the tides and currents, it is essential for surfers to “get outside” in order to catch decent waves. I quickly learned that getting out past the break is one of the most difficult aspects of surfing. My sore arms couldn’t paddle with anywhere near enough power to make it out, and as each wave came crashing down, I was continuously pushed off my board, tumbling under the water over and over again. It was exhausting and frustrating. However, I’m so grateful that I willingly got back in the water later in the day because I ended up having an almost perfect afternoon on the board. I had such a great experience when I was learning to surf that I am strongly considering purchasing a used surfboard to practice on at the Jersey Shore. I’ve also followed a few surfers on social media to pick up some tips from some of the pros. I hope I am able to enjoy surfing for the rest of my life. Summer is the perfect time to challenge yourself and try something new, and it definitely doesn’t have to be as extreme as learning how to surf! Summer is a great way to do the things you’ve always thought of doing but never really got a chance to pursue because of all the exams, assignments, clubs, and other college activities that seem to constantly come in the way. Whether they are learning to bake a cake, knitting a sweater, exercising to get abs, or writing a book, summer definitely gives you the time to try new things and explore new realms. This is exactly what I did and am currently doing during my summer. One day, I was just sitting in my oh-so-comfy black chair, and thinking of things I can do because for the first few days of summer I was merely lazing around; I kept on planning a hundred things I could do, but never actually did. I needed to put an end to these velleities. Then, out of the blue, and I am being serious when I say this, I said to myself, “Why not learn sign language?” I was always fascinated by the signers at public events. Learning sign language would definitely be unique; it’s not the same as learning French or Spanish. Thus, I gave it a go. 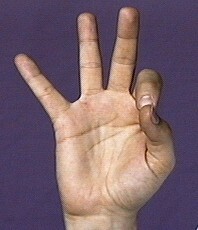 First, I got Barron’s American Sign Language: The Easy Way from the library. It was way too wordy, and besides, I am more of a visual learner; I needed to see how to sign, not read about it. Therefore, I decided to see if there were any videos I could watch online and learn from them. Sure enough, I discovered an amazing website called “Sign Language 101” that has 20-minute lesson videos filled with learning material, language tips, facts about deaf culture, and even a quiz! It is all very organized, and each video is brimming with enlightening content. More importantly, you will never feel deluged with the material. In addition, the professor is very vivacious and his teaching method is impeccable. After taking a few lessons, I know how to sign the alphabet, numbers until twenty, colors, and common phrases and gestures. I absolutely cannot wait to learn more! Besides actually learning how to sign, I also discovered the many misconceptions that people have regarding signing and deaf culture. 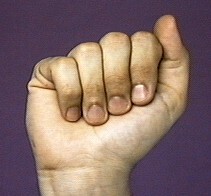 For instance, many people misconstrue that signing is all about the hands. It is not. In fact, your body language and facial expressions are equally important. 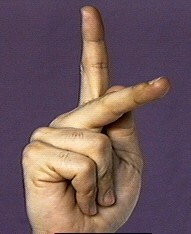 Sign language is like dancing: it requires the entire body to be in graceful rhythm to illustrate each word. Furthermore, not all deaf people know how to lip read. Lip reading is actually the hardest way a deaf person can learn and understand a spoken language. The most important thing I realized from all of this was that signing is not just a set of hand movements; it is a language that is used by a culture. It is your turn! See the diagrams below for some quick signs. For fun, choose a phrase below and try to learn how to sign it to a family member, friend, or even just your mirror reflection. If you want to keep going, then be sure to visit Sign Language 101. Leaving where I left off, I now head back to Pune for a very worthwhile experience at Deenanath Mangeshkar Hospital, one of the best in patient care in all of Western India. According to sources, it was where the first Indian milk bank for humans was established. 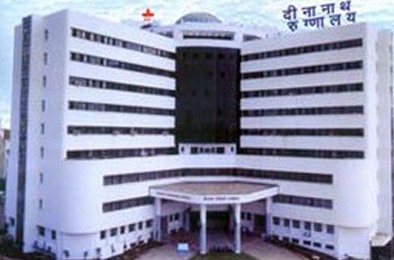 The hospital is named after actor and classical vocalist, Deenanath Mangeshkar, and for those of you who are fans of old classic Bollywood, Deenanath Mangeshkar was the father of famous singer Lata Mangeshkar. At first, I was only planning to shadow an uncle of mine who was a neurosurgeon there. However, when I asked him, he told me that the hospital doesn’t allow neurosurgeons to be observed, and that their system was different in that instead of scheduling one department for a few days, each observer/shadow has to rotate between departments each day, which meant that I got to choose which specialty I could follow each day I was there! When I first walked into the hospital, I expected massive hordes of people and doctors walking around and big families sitting in the waiting area eagerly awaiting news of their loved ones. What I did not expect, however, was the level of cleanliness in the air around the hallways and even in the immediate outside parking area. After all, Pune is a highly urban city with hundreds of people who visit the hospital each day. The atmosphere of the hospital was a stark contrast to the streets I had witnessed and the air I breathed when my family and I were going to stores, banks, and anywhere else really. Logically, it would make sense that the cleanliness standard in the hospital should be higher than that of the streets, but still, compared to the hospitals here in America, I could hardly tell the difference! My first day as observer began in reception. Although it wasn’t initially where I expected to be, I knew in my mind that it would give me a basic idea of how the various departments and staff were organized throughout the hospital. As I walked up to the front desk wearing my new tag around my neck (I felt so special! ), even with my consistent optimism and curiosity, I was a bit nervous, anxious even. I realized that this was actually the first time in all of my trips to India that I had planned an activity that was only meant for me, which meant spending each day in a new setting, at a six-acre, 500 bed hospital, all by myself for over seven hours. While initially nervous, I started watching people come in and ask where certain departments were, where their relatives were relocated, or where to pick up their medication. As time went on, I began to converse with the receptionists (in my first language Marathi as many people there spoke little English) and found out more about the hospital and its policies. Every patient is registered to OPD, the Outpatient Department, which handles the follow up of each new patient admitted, especially since there was no separate clinic in the hospital. The area I’d been in for the first half of that day was the New Building, which consisted of Super Specialties such as urology, endoscopy, and neurosurgery. The next half of the day I spent in the Old Building, the area of General Specialties (psychiatry, pediatrics, etc.). The Old Building has an IPD, Inpatient Department, which deals with follow up and clinical information on patients who currently were admitted to the hospital. While the nearly flawless organization and communication between doctors and departments was fascinating to learn about, what interested me more was the type of patients that came in and what areas the hospital focused on more than others. It turns out that very recently, the areas of psychiatry and neurology started becoming more important to patients and their families, as mental health, for a long time, wasn’t something that was registered in the minds of the people as something worth treating. If someone had an illness that wasn’t life-threatening, a visit to the hospital was out of the question, and any medication that had a chance of relieving symptoms and curing the disease was the first choice pick. Even in a mostly middle-class trustee hospital like Deenanath Mangeshkar, most of the patients were those who’d tried to help themselves and only then decided to come if their condition didn’t improve over time. The hospital being the last resort for many patients was more evident my second day there, when I initially decided to follow the emergency room staff. The relatives of patients whose conditions were life-threatening were acting completely out of hand, insisting immediate treatment and causing chaos for the staff there as they tried to diffuse the situation, but it did little to solve the problem. The patients were still in the ER, the relatives were not willing to calm themselves down, and the staff were realizing they were running out of options. Although I was about to insist that I could handle it when I first walked into the area, when I was faced with the terrifying reality before me, I knew there was nothing more I could do as only an observer. Instead, I asked to be sent to follow another specialty that was of personal interest to me: cardiology. Compared to reception, it was a lot busier there. I was surprised, considering heart problems are more of a problem for people here in the US than they were there, but heart problems do also tend to occur with age, as was the case with most of those patients, more so than dietary habits. Just like here in America, they perform stress tests and pacemaker implants when necessary, and there is a Catheterization lab, or CathLab, that handles cardiographs, sonographs, and angioplasties, with the sonography of the heart being called 2d Eco. Cardiology also has its own OPD, with morning being adult patients and afternoon pediatrics, but there is always a backup 24-hour emergency service effective for both adults and children should problems arise at any time outside of the OPD timings. As for payment and billing, the first priority of the hospital is equitable and affordable patient care for all. However, most of the non-medical care costs are paid in advance by the patients and their families, with only about 30-40% insurance coverage coming from Mediclaim, the equivalent of Medicare and Medicaid here. For my last few hours on the second day, I had the privilege of speaking directly to one of the physicians, who spoke English a lot better than the staff I worked with. We talked about how the processes of becoming a doctor are different in India and the US, as the education system in India doesn’t have the four-year bachelor’s degree. Their equivalent of the bachelor’s degree only lasts two years after high school (ten plus two), and then they study in medical college for five-and-a-half years to get the MBBS degree, with students starting rounds right in their second year! To get an MD degree or that of any other specialty, students would have to take more exams and study for 3 or more years, depending on specifically which degree they want to pursue. We also talked about how medicine today is mostly driven by business-oriented mindsets and processes. As a result, most of the work done at hospitals deals with management and finances more than on the actual administering of care for the patients. I was glad to know, then, that the healthcare in Deenanath Mangeshkar hospital is less focused on gains and profits and more on giving quality affordable patient care. Even though finances are important, the hospital’s priority should always be improving lives through patient care. Looking back, I feel that this was one of the best clinical experiences I’ve had so far, considering it was done in a foreign country. In my future experiences here in the US, I will undoubtedly contemplate what I learned in India through my shadowing experience at this beautiful healthcare institution. This had truly been an adventure for furthering my education and understanding of the steps needed to become a doctor, which is the lifelong career path I choose to embark upon.